Moxie Kicks, formed in 2014, consists of duo Charlie Freeman and Jamie Brown, who found each other through an online music ad. It’s the not the only unorthodox thing about the pair, who have recorded their album in Jamie’s backyard studio. We were lucky enough catch up Charlie and Jamie, to chat about music, hobbies and life in general. 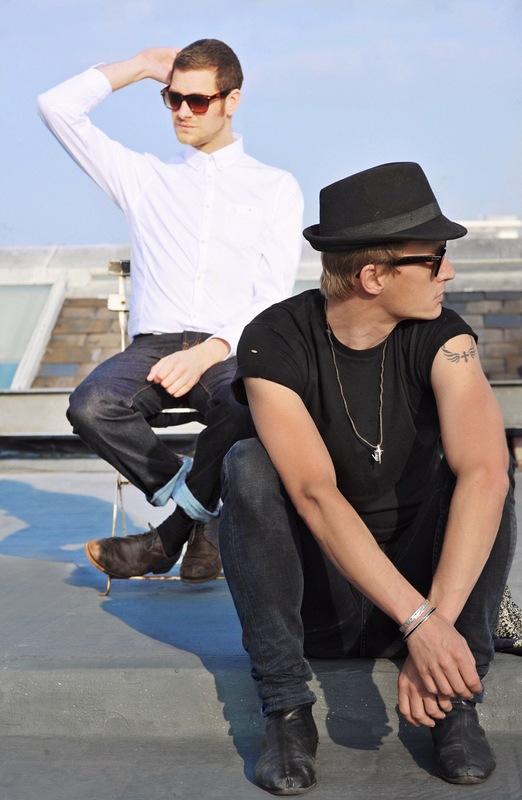 As the duo prepare for the release of their debut single “Soul For You” on 25th January. How would you describe your music to anyone who hasn’t heard you before? How did you come up with the name “Moxie Kicks”? You met via an online music ad, what was the one thing that you saw in each other that made you think “yeah! This guy is the one”. You have a long list of musical influences, including The Stones, The Cure, and Blur, but whom would you say influenced you individually the most? You have recorded your album in a back yard studio, with Jamie producing, and it’s gone down well with critics, is there anyone you would ideally like to work with or do you prefer the hands on approach? We love your debut single, “Soul For You”, which is due to be released on the 25th January. Can you talk us through the song and the meaning behind the lyrics? What do you both like to do in your spare time; do either or both of you have any hobbies away from the music? Have you ever been given any particularly useful (or useless) advice?? What music do you like to listen to? Are there any songs on your iPod that might surprise people? What can we expect from Moxie Kicks in the Future? We are gonna release the album in the first half of 2015 plus a few singles this year and we will be gigging and touring like mad – dates to be announced soon! Keep an eye on the website (www.moxiekicks.com) and FB etc. Lots going on this year, we can’t wait! Thanks for taking time out to speak to us. Soul For You By Moxie Kicks is due for release 25th January 2015. Check out their Facebook, Twitter, SoundCloud and Youtube.